… We esteem a lot who makes this choice so our breakfast, if you want, can be completely vegan. We serve homemade cakes without eggs, without milk, without butter, without any animal products. 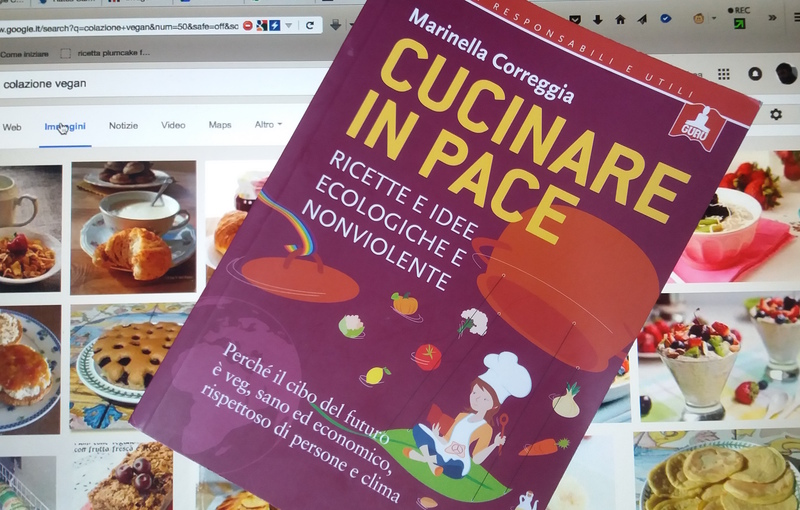 The most appreciated vegan recipe is a very simple sweet that does not even have yeast (recipe by Giulia Zanzini) with the scent of lemon and ginger and of course very light and digestible, a recipe that often receives appreciation even from those who have not yet made the choice vegan. Then we often serve chickpea and cocoa cake, which in addition to being vegan is also gluten-free as the flour used is only chickpea. Finally, there are homemade jams with very little brown sugar (fairtrade) and centrifuged organic fruit mostly at km0 that we make very fresh in the morning. For those who are not vegans we also offer yogurt (but homemade, to save the world a little ‘plastic, with organic milk). 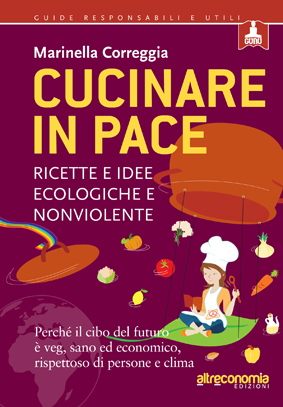 It is not easy and sometimes you are forced to compromise, but our intention is increasingly to “cook in peace”. Every time we receive a request to stay in SassoErminia we always ask in advance if our guests prefer this type of breakfast as well as we also ask if they have food intolerances or if they prefer products completely gluten-free celiac. If you do not find availability in the chosen period, without obligation, please fill out the form "Ask information " beside indicating the dates for your stay in SassoErminia, if possible we will try to find the solution that best suits your needs. This place is an absolute paradise! We just fell in love with this place and the surroundings, we are already planning our next trip just to be in this place. The house was very clean and equipped with all the necessary amenities. The bed was very comfortable and the view from the room is absolutely breathtaking. The hosts are the warmest people you'll ever come across. They were very quick in responding to our queries and provided us with great suggestions on local attractions that we really enjoyed. Andrea was kind enough to provide us a very early breakfast as we had to leave for our flights early. We would highly recommend this place. Stay here atleast for 2 days to enjoy the surroundings. Highly recommended! The B&B is located in the beautiful hills. We stayed in the appartment for more than a week and really enjoyed it! The breakfast was very good and fresh made. We got a lot of local tips and we feeled really welcome. Our daughter Norah loved the dog Balto and the housecat. The view is stunning and i would recommend this place to everybody! We spent a lovely quiet night at the apartment on a road trip from France to Rome for a vacation. The place is out in the countryside--the stars were magnificent at night--at the end of a road off another winding road. Andrea recommended a (very fine) restaurant in the magnificent hilltop town of San Leo for us for dinner and made a reservation. The highlight of our stay in the apartment was breakfast, served by Andrea and his wife: homemade yogurt, fresh-pressed apple juice, honey cake with honey from their own bees, peppermint tea straight from the garden... lovely. PERFECT. staying at sasso erminia is a very special experience: Andrea and Patrizia are so warm, polite and generous they made me feel at home immedeately. Beside the normal things like show you the way, give tips about the environment and the castles in the neigbourhood, they gave me so much more. We had lots of laughs and interesting conversations, we even danced together (!) Everything was Perfect. Because their goal with their B&B is not monetary but ecologic and inter-human without being too fundamentalistic about it, it was a perfect stay for me. i repeat it once more: PERFECT! Book and you won't regret it. Friendly owner very helpful and an outstanding place. Everything is handmade, not only the very good breakfast but the rooms itself. Thanks very much for the time there and the Chance being a part of the family in this lovely hotel. Beautiful place and great people to spend time with. Beautiful place and great people to spend time with. Our only regret is that we staied only one night here. Beautiful house restored with only enviroment friendly materials. Breakfast made exclusively with bio products. An old house rebuild with only natural materials on a beautiful location. A few on the mountains al around. So will you see the castle of San Leo with light in the evening. The breakfast is home made by using only eco products. The young couple who run this place are friendly and helpfull. When you looking for a nice stay in a quite environment this is a place for you. The difference between feeling good and being happy! This B&B is very unique. The views are wonderful. Andrea and Patricia are wonderful hosts and very welcoming. Our room was comfortable and clean. When we booked, we had asked for two extra pillows and they were in the room upon arrival. When we arrived we were offered coffee, tea and a delicious vegan cake. That evening we were offered wine and chips. Breakfast was very good. If you are looking for something unique and a bit off the beaten track, I suggest you stay here.